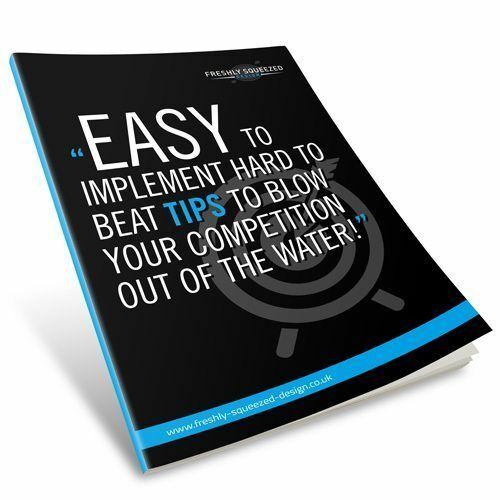 Sign up today for this FREE ebook, plus be the first to get notified on exclusive new articles, tips,tricks and updates to help you dominate your marketplace. Well, the answer is actually really simple… once you take a different approach to your marketing, you are more likely to start seeing real results. Once you start to see results, you are more likely to expand on your marketing activities and the more businesses that do this the greater the need for our services. It’s really as straight-forward as that! If even a tiny percentage of the limited number of businesses owners that will receive this free report decide to use our services to help produce their marketing materials [websites, logos and brochures etc], we’ve managed to create a win-win situation and everyone is happy! What could further sweeten the deal for you? Well, signup now, go to the last page and you’ll find an extra special surprise just for our subscribers.